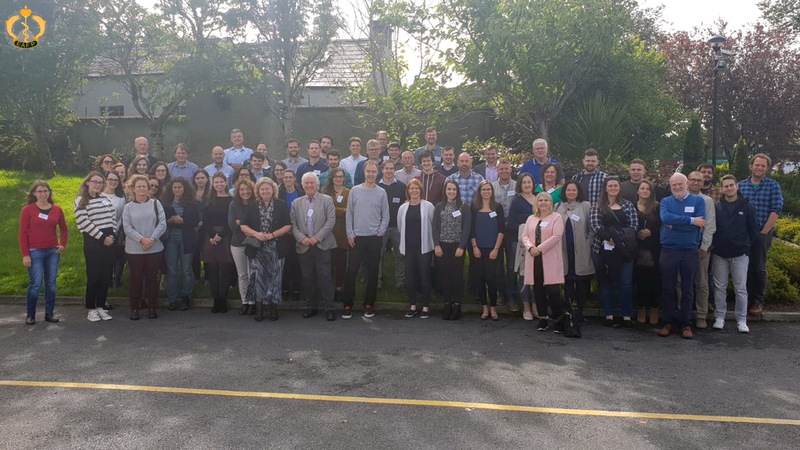 The increasingly popular UK and Ireland EAFP branch meeting took place at the Connacht Hotel in Galway, hosted by the Marine Institute in Ireland. Following the previous meetings in Keele (2014) and Stirling (2016), 85 participants attended the meeting, with delegates also coming from Norway, Malta, Croatia and Malaysia. The varied programme comprised of 21 full presentations, 17 early-stage researcher presentations and 10 posters. Dave Jackson (Marine Institute) opened the meeting with a plenary lecture entitled “Wild Atlantic salmon survival and the role of the salmon louse Lepeophtheirus salmonis”. Despite years of research, a clear correlation between sea lice infestation and marine survival of wild Atlantic salmon has not yet been demonstrated. Variations in the climatic conditions in the North Atlantic, as shown by the Atlantic Multidecadal Oscillation (AMO) do show a strong relationship with variations in salmon catches and by inference, survival. It was suggested that salmon may face increased competition for resources, such as food, through rising sea temperatures and fish stock distribution changes. Clearly, there is still much work to be done in this highly topical and controversial field. The first session, expertly chaired by Eann Munro (Marine Scotland Science) focused on virology. Deborah Cheslett (Marine Institute) provided an overview of the impact of oyster herpesvirus OsHV-1µVar on the Pacific oyster industry in Ireland, ten years after it was first reported. Other notable presentations in this session included investigations on infection trials of European seabass with Viral Nervous Necrosis virus (Maria Viaplana, AquaBioTech Group) and with the recently described lumpfish ranavirus (Felix Scholz, Fish Vet Group Ireland). An alternative method for CardioMyopathy Syndrome surveillance was described for Scotland (Silvia Soares, Marine Scotland Science) and the first report of Koi Sleepy Disease in carp in Ireland was presented by Susie Mitchell (Fish Vet Group Ireland) and Neil Ruane (Marine Institute). Ronny van Aerle (Cefas) provided a detailed presentation on an RNA-Seq analysis of rainbow trout cells inoculated with pathogenic and non-pathogenic VHSV. The session was closed by Sarah Culloty (University College Cork), who provided a stimulating overview on the wider ecological impacts of bivalve diseases. Following some wholesome soup and sandwiches, the bacteriology session, chaired by David Verner-Jeffreys (Cefas), provided updates on the current research into bacterial diseases of cleaner fish in Norway (Snorre Gulla, NVI) and of wrasse in Scotland (Sean Monaghan, University of Stirling), as well as updates on some old reliables such as Yersinia ruckeri (Ed Feil, University of Bath), Aeromonas salmonicida (Andrew Desbois, University of Stirling) and Renibacterium salmoninarum (Sion Bayliss, University of Bath). Edel Chambers (Cefas) closed the session with a description of the Cefas Aquatic Antimicrobial Resistance Centre of Excellence. The third and final session of the first day, chaired by N. Ruane highlighted disease management efforts and how science and industry can come together to improve the health of our wild and farmed aquatic animals. Numerous examples of this were provided by Jason Mewwtt (Cefas), Chris Williams (Environment Agency) and Tomislav Šarić (Zadar University). Descriptions of emerging diseases in Ireland, such as crayfish plague (Teresa Morrissey, Marine Institute) and haplosporidian infections in bivalves (Sharon Lynch, University College Cork) were well received. Research-centred issues in relation to amoebic gill disease and sea lice were provided by Adelaide Lerebours (Galway-Mayo Institute of Technology) and Mark Fordyce (Marine Scotland Science), respectively. Day two of the meeting was dedicated to the early stage researchers. Under the watchful eyes of those EAFP veterans, David Hoole (Keele University) and Sandra Adams (University of Stirling), the students took to the stage to present their projects and answer any questions posed by the audience (all within ten minutes each!). The variety and quality of the work being undertaken was of an extremely high quality and the judges had a difficult time deciding on the prize-winners. 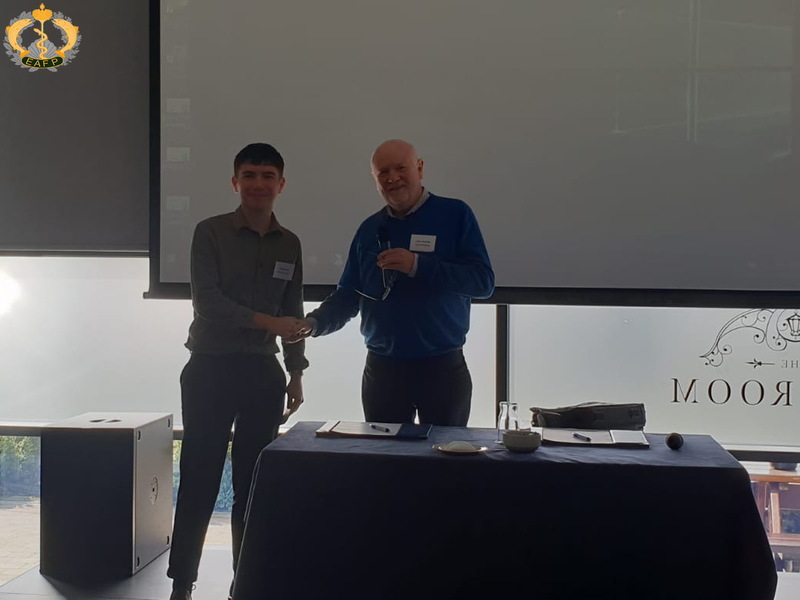 Ultimately, Corey Holt (University of Exeter) claimed the overall winning prize for his presentation “Aquaculture from the inside out: characterising the gut microbiome in the cultivation of the European lobster”. Runner-up prizes were awarded to Kerrie Ní Dhufaigh (Galway-Mayo Institute of Technology), Patrick Hooper (Cefas) and Dylan Ivory (University of Exeter/Cefas). Overall, also judging by the lack of complaints, the meeting was deemed a success and an ideal vehicle for highlighting the breadth of work currently being undertaken in both countries. The exceptionally high standard and quality of the early stage researchers was a significant factor contributing to the success of the meeting. Our thanks to Elsevier for, once again, putting their hands in their pockets and providing the prizes. Our thanks go to our co-sponsors: Aquagen and Fish Vet Group, and we hope to see you all (somewhere) in England in 2020.